Why would Russian security services harass U.S. diplomats in Moscow? Mark Galeotti dismisses the idea that the Kremlin explicitly endorses the harassment of U.S. diplomatic staff but says the Russian security services could be acting on their own initiative. Photo: U.S. Embassy in Moscow. A recent report in the U.S. media highlights a series of incidents American diplomats say is a campaign of systematic intimidation directed against them by the Russian security services. However, experts disagree on the logic behind carrying out such harassment. Amid continuing strained relations between Russia and the United States, a June 27 report in The Washington Post about the ongoing harassment reportedly suffered by U.S. diplomats and their families in Russia at the hands of the Russian security services did little to create any sense that things might be improving. A number of American officials have appeared on record arguing that Russian security personnel and traffic police have increased pressure on U.S. diplomats stationed in Moscow since 2012, when Vladimir Putin returned to the presidency. According to The Washington Post, the acts perpetrated have ranged from the relatively routine – following diplomats and members of their families, turning up unexpectedly at social events, defamation – to the criminal – slashed tires and domestic break-ins in which furniture would be rearranged or lights left on. In return, the spokesperson of the Russian Ministry of Foreign Affairs complained about the allegedly harsh treatment of the Russian diplomats stationed in the U.S.
“[We] have been seeing increased pressure on our embassy and general consulates in the U.S. Our employees abroad are regular targets of provocations by U.S. secret services, and face obstacles in their official contacts and other restrictions,” said the spokesperson. Neither side has confirmed or refuted the accusations. However, if such incidents do take place, there must be practical benefits that the security services aim to achieve by the practice. But what practical purpose could such harassment yield for the perpetrator? Mark Galeotti, Professor of Global Affairs at New York University and a specialist in the Russian security services, finds the allegations plausible, although the cases he heard of were more trivial than killing a family pet, for example. However, Galeotti doubted the possibility that the Kremlin has explicitly endorsed the harassment of foreign diplomats. “This is the classic mistake to [think that] everything that happens in Russia happens because Putin has said so,” he told RBTH. However, crucially, Galeotti allows for the possibility that the Russian security services are acting on their own initiative. “We should not presume that the Russian government is as centralized and monolithic as is sometimes assumed. [There are] multiple agencies that sometimes have multiple policies and multiple approaches,” he said. 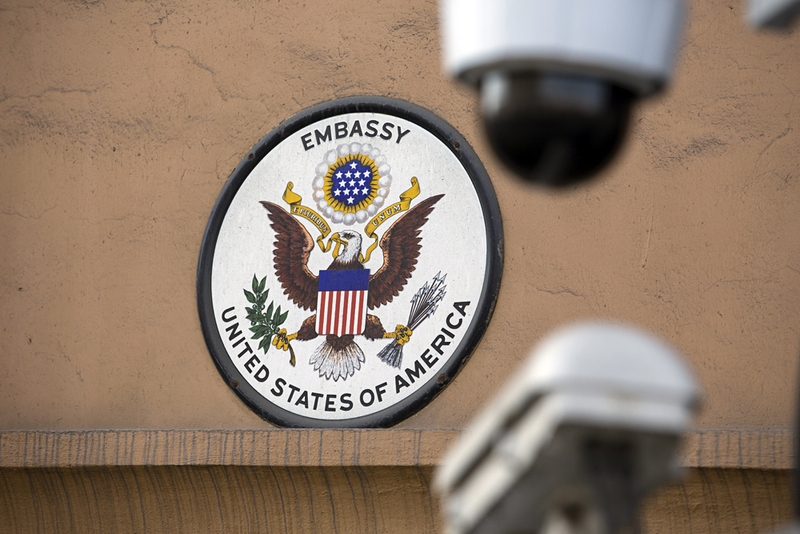 Yet others believe the harassment of the U.S. diplomats may have taken place even without any apparent practical purpose, claiming the intrusions may have been carried out for sheer pleasure by the frustrated employees of the security services. “The reported harassment of U.S. diplomats by Russian security services is an end in itself for Moscow. It’s a practice some countries utilize to express their displeasure with policies of states that the harassed diplomats represent,” said Michael Kofman, a fellow at the Kennan Institute of the Wilson Center and an expert in Russian military analysis. However, Valery Malevany, a former high-profile Russian security service employee, finds the story about the harassed diplomats implausible. The retired major-general ruled out a possibility of the security services acting on their own initiative, arguing that no operative would risk his career for a chance to harm or threaten a diplomat on his own initiative and act without reporting to his head officer, who would then have to pass the report along through an elaborate chain of command. “It is impossible to think that a [security service] operative can put pressure on a diplomat on his own initiative, without reporting to his chief. Doing anything illegal and unsanctioned by the chief will cause grave problems [for the initiator],” said Valery Malevany, vice president of the Berkut Association of Special Services Veterans and a historian of the secret services. If an employee of the secret service begins slashing tires or threatening diplomats in any other manner, he will be immediately discharged, according to Malevany. Nonetheless, both Russia and the U.S. complain about pressure being applied against their official representatives. Michael Kofman ruled out the possibility that the U.S. could have been retaliating against Russian diplomats using intimidation tactics. However, the press office of the Russian embassy in the U.S. confirmed to RBTH that its diplomats have felt the negative consequences of the deteriorating relations between the two countries. “Problems and challenges of all sorts have objectively increased. At the same time, we are trying to address these challenges via diplomatic channels rather than megaphone diplomacy, which only makes things worse,” said the Russian embassy.